What’s in The Budget of a Start-up Childcare Business? Financial forecasting is one of the important aspects of starting a childcare centre. It involves projecting the financial impact of trends & changes in a childcare centre’s operations. A critical step in the forecasting process is developing a start-up budget. Setting a budget helps you estimate your income & expenditures & monitor your business’ performance over a certain period. There are many costs that you need to factor when starting a childcare centre such as staff salaries, rent & a host of other expenses. Here are some costs to keep in mind when developing a start-up budget. The number of teachers or staff you hire depends on how many children you accept to enroll. The National Quality Framework (NQF) sets the minimum educator to child ratio requirements for childcare services that deal with early childhood education. In a family daycare centre, the educator to child ratio is 1:7. As for the educator’s salary, they earn an average wage of AU$25.86 per hour. While the teachers care for the children, there must be a point person that h&les the administrative side of your childcare centre. Administrative personnel makes sure that everything runs smoothly with internal & external operations. Some of their tasks include paying bills, ordering supplies, answering phone calls & more. The average salary of childcare staff in Australia is $21.41 per hour. Besides their salary, you should factor in electronic appliances that they will use on a daily basis. Some of the essential appliances include a desktop computer, printer & a l&line. Unless you can afford to buy a facility or a property, rent is a significant part of your childcare centre’s budget. Some states set a minimum amount of square footage for every child enrolled. This is a single requirement in some cases; however, it may be broken down into spaces for learning, playing or sleeping. It’s best to contact your local council to know the requirements for renting a space for your childcare centre. Some essential utilities in a childcare centre include water, electricity, l&line & rubbish removal. All of these utilities should be included in your budget. You can calculate an estimated value of your utilities by asking for a quote from your local utility providers. Since you’re starting a childcare business, include marketing initiatives in your budget. You can rely on word-of-mouth among parents; however, this may not be effective enough to obtain a high number of enrollees. You might want to consider putting up a banner on your newly opened childcare facility, or you can also give out flyers to parents in a nearby community. With the right marketing initiatives, you can expect to gain a good number of enrollees. 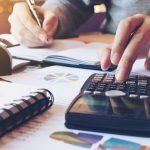 Need help with setting your start-up budget? Early Learning Management can assist you with your childcare business’ finances. We have a team of financial forecasting experts who provide strategic budgeting & planning services that are tailored to your business. Our team takes time to underst& your business’ financial needs & goals to formulate the right budget for your childcare facility. With our financial forecasting services, you can make informed decisions about the long-term financial needs of your childcare business. For any enquiries, give us a call on 07 5592 5800 or book an appointment here. Contact us today to find out how the Early Learning Management team can assist your business.